Show your 4th of July colors with this limited edition fork from Cane Creek. Apparently red is the in color for suspension makers this season. Back in March, RockShox showed off a host of suspension updates, including a new Lyric enduro fork with bright red lowers. Then in May, Mtbr got a look at the new Marzocchi Bomber Z1, which comes with black or red lowers. 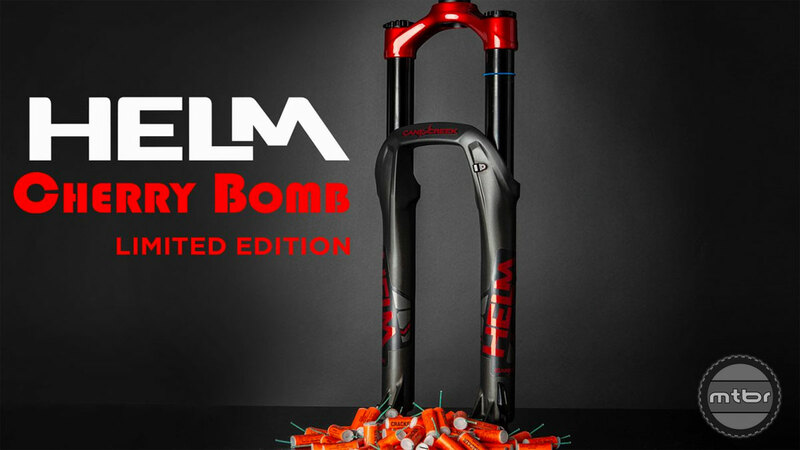 Next up is Cane Creek, which just announced a limited edition “Cherry Bomb” version of its Helm 27.5 fork. The fork takes its name from the red fireworks and sports matte black lowers with a firecracker red metallic gloss crown and graphics. It’s available in both coil and air sprung versions, however, unlike the mass produced RockShox and Marzocchi offerings, the new Helm will be limited to a total of 100 forks sold on a first come, first served basis. Price is $1100. To learn more about the fork, check out this video. The Helm has 35mm stanchions and is optimized for 140mm to 170mm of travel. 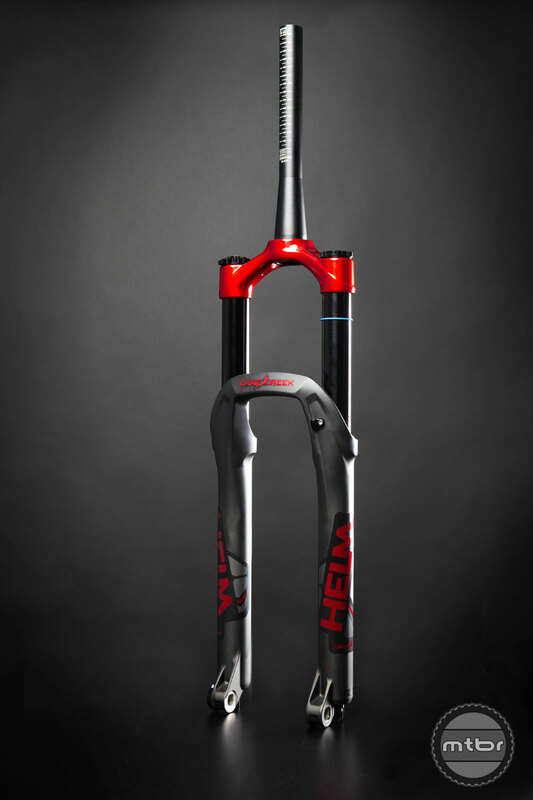 Cane Creek is accepting orders for the Helm 27.5 Cherry Bomb with the first forks shipping in July. For more info pedal over to www.canecreek.com.